The official dates have been announced for the festival’s 2019 installment: June 6-9, 2019. And for fans looking to guarantee a great spot to stay near all of the action, it’s high time to reserve your accommodations at Bay View Resort which is located right on the Myrtle Beach oceanfront just steps away from the main venue. Bay View Resort offers a wide range of rooms, efficiencies and suites, all representing the best in modern oceanfront dwellings. 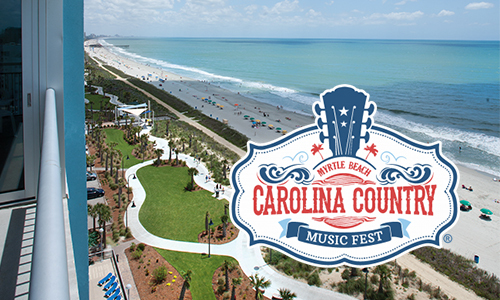 Bay View Resort is right on the boardwalk and easy access to many restaurants, bars and of course the CCMF main stage. Book your CCMF stay with Bay View Resort Today. One of the best locations for attending this event.